​Nuno Espirito Santo oversaw a fantastic performance for his Wolverhampton Wanderers side when they knocked Manchester United out of the ​FA Cup on Saturday night. 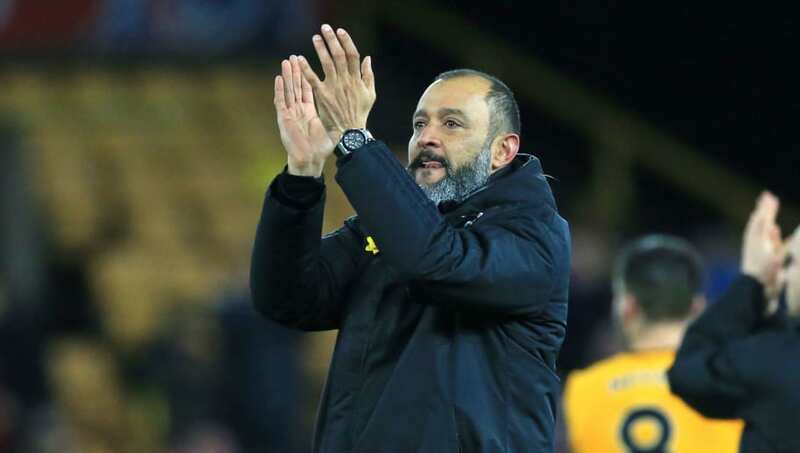 Wolves triumphed 2-1 over United thanks to two brilliant goals from striker pairing Raul Jimenez and Diogo Jota, and the Portuguese manager knows how much the victory will have meant to fans as they booked a trip to Wembley - and the semi-finals of the competition. United hit a late consolation through Marcus Rashford, but were outplayed and well beaten by the hosts, who will now face one of Manchester City, Watford or Brighton/Millwall in the last four. Speaking to ​Sky Sports post-match, the 45-year-old said: "It means a lot, of course. The FA Cup is the oldest competition there is. We played well and we achieved it with the amazing support of our fans pushing us." Nuno was happy to have provided the fans with a great night of entertainment, and many will feel that Wolves have a great chance of lifting the trophy in May after a performance like that. "What pleases me more is that as I walk down the steps there are people telling me they saw the 50s and the 60s and they are still coming," he added. "To give them back this joy and see our fans going out of the stadium with a smile, with a lot of beer, of course, it feels good." Santo said that his side is based around talent and organisation and that despite United being dominant with possession, he was not worried as this is what Wolves had prepared for. He said: "I think in the first half we defended very well, very organised and very compact. We allowed them possession of the ball but tried to recover in the right areas. The shape worked very well." Does tonight have to end? In the second half, ​Wolves improved further and despite Rashford pulling one back late in the game, the result never looked in doubt, saying: "In the second half, I think we managed the ball better. "We had possession. We created problems for them with our movements. And then it's talent. Talent based on organisation."